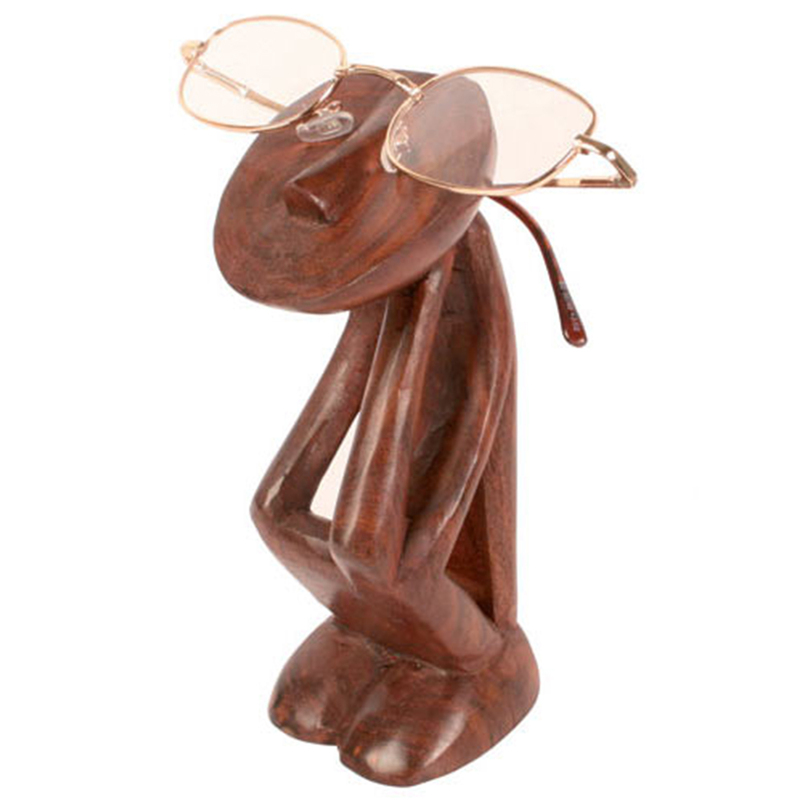 Hand-carved wooden glasses stand styled as a crouched, thinking man. Fits most glasses. This product is fairtrade and has been hand-made in India.